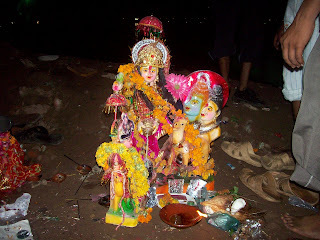 One of the most popular mother goddess cults in Gujarat is the cult of Dasha Maa. 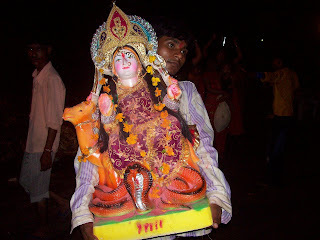 The goddess is worshipped mainly by the people of the suppressed class Hindus. 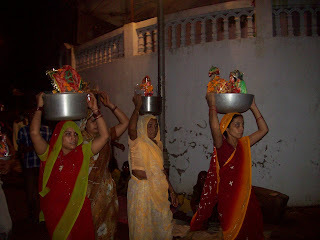 In the month of Shravan the women folk of the state representing mostly the lower strata of the society observe a ten days vrat (a vrat is a penance undertaken as a ritual occasion and calls for fasting, prayer often for a particular boon, and ritual worship according to set rules – at such times stories appropriate to the religious occasion, with the deity concerned appearing as a figure in the tale, are told by an older woman to a group of women) in the honour of Dasha Maa, and also in the honour of other folk deities: Nagbai Maa and Momai Maa. 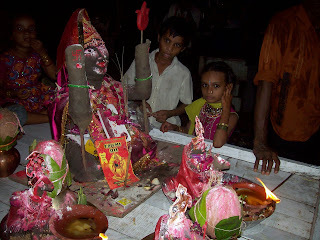 A small statue is made of these mother goddesses, to which chandalo (sandalwood paste and kanku), and puja is offered daily. The image is immersed on the tenth day. During this period women pray for the improvement of their dasha or condition, perhaps their economic well being or health. They wear a thread with ten knots, and each day one knot is united. The worshipper lives on one meal a day and the food is made of wheat. 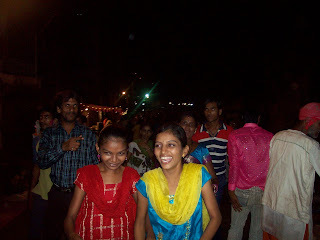 Dasama stories are told in the morning, and in the evening women dance the garba. Men do not participate in any of this. The mata is worshipped mainly by the socially suppressed class as an act of fear and to seek her divine wrath. 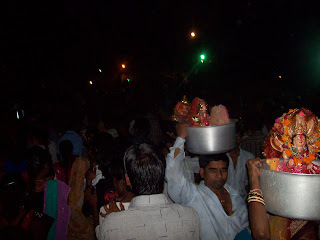 During the ten days vrat though the mata’s power is still present in the songs of garba, yet it is dwelt upon love and admiration rather than fear. The goddess is given familiar human attributes. She dresses, plays and moves as the women themselves do. The only difference is – she does it alone and in complete freedom. She is sufficiently like them in her joyful play and yet quite different in her single status. 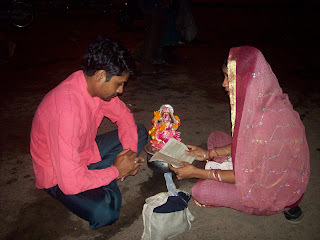 In the religious domain of Gujarat, the worship of Nav Durgas has attained wide popularity. According to the Puranic tradition the Goddess Durga killed the demon king Mahisasura on the tenth lunar day of the Hindu month Ashwin. 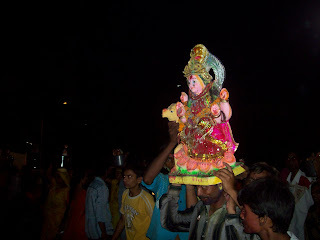 However, preceding the 10th day, on each day of Navratras the goddess had taken a form to kill the demon. 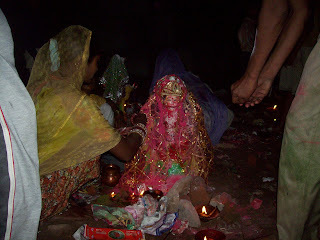 The various forms of the goddess put together are referred to as Nav Durgas. 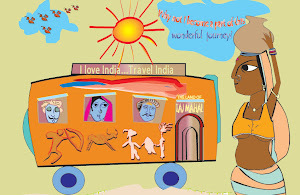 Goddess Durga is also called Mahamaya and the corruption of Mahamaya is Momai. 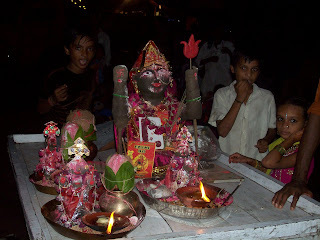 Momai is also known as Ashapura and Dasha Maa. 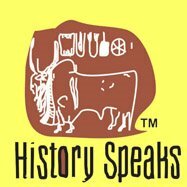 The union of the folk goddess with main stream Brahmanism cult probably occurred during the medieval time through Rajput intervention. An interesting story recounts the probable synthesis. Once upon a time Vijay Singh was a king of a kingdom in Gujarat. Queen Rupmati, a beautiful, kind hearted and devotional woman was his wife. Both had two sons and all of them lived peacefully. The king had a palace called Jal Mahal, which was located on the outskirt of his capital. One evening the queen along with her attendants had gone to Jal Mahal for a visit. 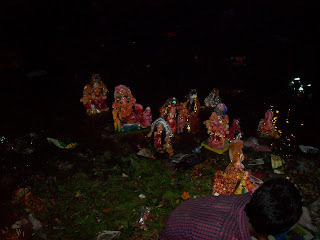 From the window, the queen however saw a devotional sight – a group of village women engaged in a vrat near the village pond. 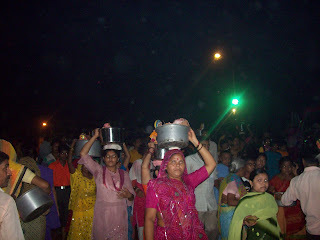 They were engaged in worshiping a deity called Dasha Maa. The queen was surprised because she had never seen such a ritual though she would worship every day in a different manner. 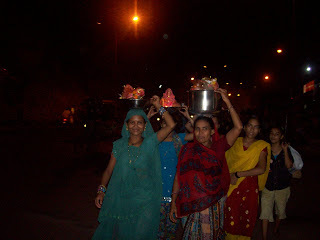 She sent one of her attendants (dasi) to enquire what kind of ritual the village women were performing. 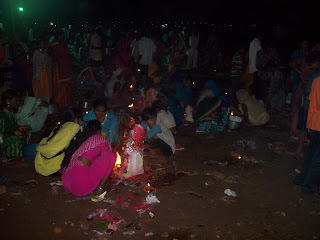 The dasi was told about the sanctity and power of Dasha Maa and the ritual and sacrifices associated with the vrat. After listening to the village women the dasi came back and explained to the queen. 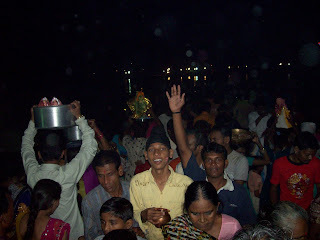 The queen was convinced and incidentally it was the first day of the vrat. 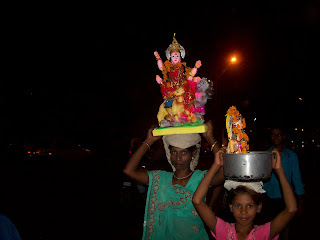 The queen also followed the path of the village women by observing the vrat. While the queen was busy in the vrat the king entered and got angry seeing the idol of the mother goddess Dasha Maa. He asked the queen to stop doing the vrat because Dasha Maa was the deity of poor people. Being a royal woman she need not had to be involved with such vrats. By saying this king offended the goddess. Because of this attitude of the king Dasha Maa got angry and devastated his kingdom. The king and his family became very poor. One day while he was passing through a road he came across a fruit orchard. However, when he entered all the fruits became dry. He and his family proceeded further and came across a step well. But he lost two of his sons in the well. From there he went to his sister’s place and offered sukhdies (a kind of dry sweet) to her. But the sukhdies turned into stones. Like these the King was infested with all kind of problems. They were also sent the jail by a neighbouring king. The king then realized that he had offended Dasha Maa. In the jail both started the vrat and were released by the rival king. They also got back all their glory. The above story is an example of Rajput filtaration into the domain of socially oppressed class. Initially they tried to maintain their supremacy yet in course of time they had to surrender to the belief of the mass to acquire the political legitimation. This probably led to the synthesis of folk and Aryan cults during the historic time and has continued today as a cult of mass.